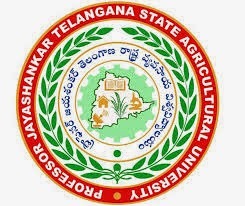 Prof. Jayashankar Telangana State Agricultural University (PJTSAU) named in honour and memory of Professor Jayashankar, an eminent educationist and an ardent Telangana ideologue is the only Farm University of Telangana state which came into being in the event of the bifurcation from Acharya NG Ranga Agricultural University , the only farm university for erstwhile United State of Andhra Pradesh. A bust size bronze statue of Professor Jayashankar was unveiled by Sri. K.Chandrasekhar Rao, the Hon’ble Chief Minister of Telangana on 6th August, 2014 at the main campus of the University. After bifurcation, the PJTSAU has five constituent colleges with three of those devoted to faculty of Agriculture, one to faculty of Agricultural Engineering and Technology and one to faculty of Home Science. In addition, there are nine polytechnics (seven in Agriculture, one each in Seed Science and agricultural Engineering). There are 16 Agricultural research stations, including three Regional Agricultural Research stations, Nine District Agricultural Advisory and Transfer of Technology centres (DAATTCs), six Krishi Vigyan Kendras (KVKs), one each of Extension Education Institute(EEI), Agricultural Information and Communication Centre(AI&CC), Agricultural Technology Information Centre(ATIC, Electronic Media Wing and Farmers call Centre spread across the state with scientific ,supporting and administrative staff, apart from a good contingent of labour force.